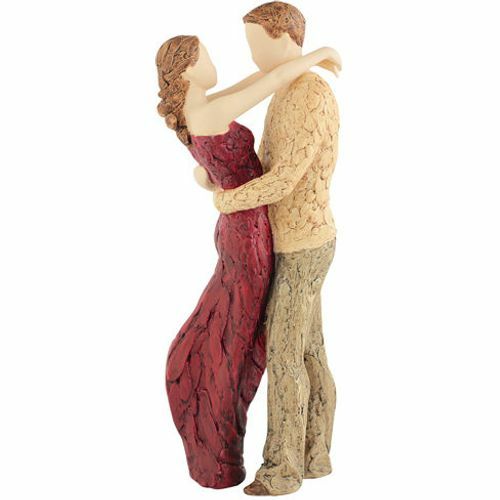 A beautiful figurine featuring a young couple in a loving embrace, gazing romantically into each others eyes. The lady wears a dress of deep red, whilst the gentlemans clothes of beige and brown contrast this to maintain its earthy, soothing appearance. Neatly crafted but left with a level of simplicity that makes it modern, elegant and personal to the owner. A thoughtful gift between loved ones.